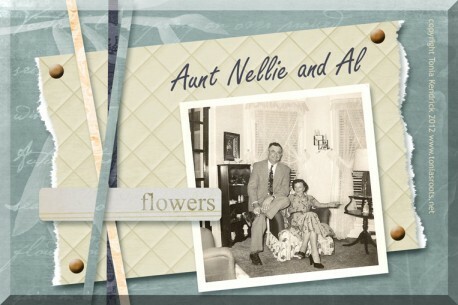 My grandmother’s oldest sister, Nellie Ward, and her husband Al Flowers. I love the page of Aunt Nellie and Al (Flowers). Very charming. Any chance you’d share how you did the background and layout? It’s very attractive.